Being one of the first hybrid cars I have driven I was a little apprehensive about what to expect. From the front the Auris looks reasonably attractive, LED running lights, a “sporty” looking front grille positive start. Once round the back of the car you notice the stylists just stopped, by the look of it they got bored and put their pens down, it very abruptly comes to an end. This is clear when assessing the boot space, or lack of it. Most cars that call themselves a “tourer” generally have enough space in the back to carry a full car load of both passengers and their baggage. However this is not the case here! The boot is simply too shallow and not wide enough. Step inside the cabin and things do not get any better, as mentioned the front of car looks great, leading you to think the interior will be just a well designed, again this is not the case. The dashboard is bland, the plastic feels very cheap and the design is dated. Once more it is as if the designers simply gave up. The driving position is incredible difficult to get right, and the both passenger and drivers seat are operated with a system of leavers which make it near impossible to make small adjustments. This model has a 1.8petrol hybrid engine mounted to a CVT gearbox. They claim it will get 74.3mpg on a combined cycle. Even driving very carefully I managed to get just 40mpg! 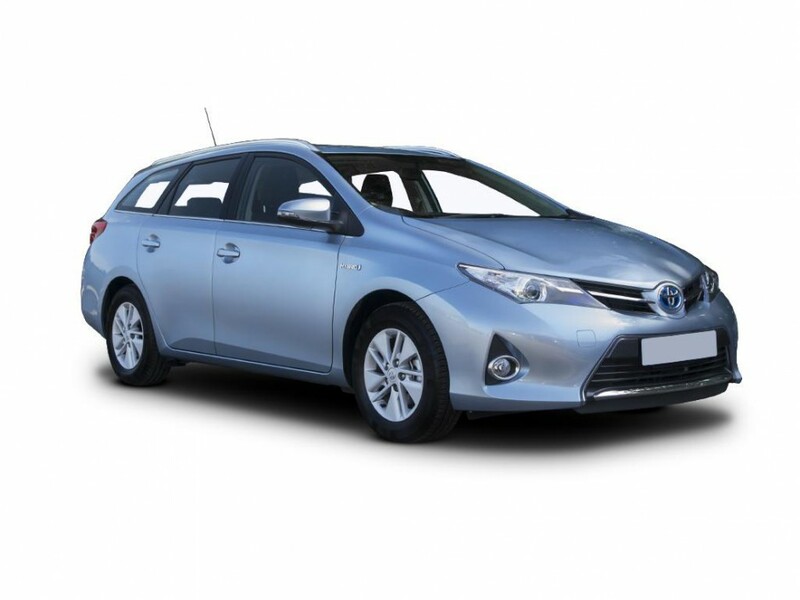 The whole of a hybrid is to use a little petrol as possible during town centre driving, in order to do this in the Auris you can not accelerate aggressively which is fair enough, however to actually move away from a junction using just the hybrid power you will more than likely miss the lights and have to wait even longer. Overall this was not a great experience; I would imagine the 1.4 Diesel engine would be better suited to this car along with a manual gearbox, as the actual handling of the car was not bad. The steering was very positive and there was very little body roll through the bends. Unfortunately for Toyota, there a lot more affordable, and refined, vehicles in its class that do the job a lot better!